Minivans Vs SUVs And Crossovers - Which is Best? All make fine family haulers, but neither is right for everyone. While the term “family car” once referred almost exclusively to a large four-door sedan or station wagon, these days it means a car-based crossover SUV (CUV), or to a lesser degree a traditional truck-like sport-utility vehicle (SUV) or a minivan. All offer three rows of seating to accommodate up to seven or eight passengers, depending on the configuration, and offer the latest in family-friendly features, including some important accident-avoidance systems. CUVs are the sales leaders among the three genres these days, with great appeal far beyond growing families, as compact and subcompact models are being snapped up in earnest by singles, young couples, and empty nesters. The relative handful of traditional truck-based SUVs still available stand out by virtue of their added off-road and towing abilities. Minivans are even fewer in numbers, but could well be the ideal family rides, though they’re saddled with a stodgy image. Which of these related, yet separate vehicle segments works best for you depends on your needs, and in this case a certain emotional connection (or avoidance). Once among the industry’s hottest sellers, minivans have become the vehicular equivalent of Rodney Dangerfield in that they tend to “get no respect” from what should be their target market, namely budding families. Minivans supplanted station wagons as the ultimate family rides in the mid-to-late 1990’s, and fell from grace quickly once buyers switched to more rugged-looking SUVs. For 2018 there remain only a relative handful of models available, specifically the Chrysler Pacifica, Dodge Grand Caravan, Honda Odyssey, Kia Sorento, and Toyota Sienna. 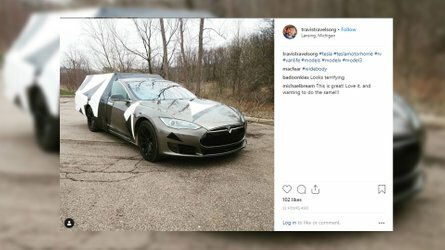 start out at around $30,000 and can range all the way up to over $45,000 fully loaded. Front-wheel drive. All minivans come standard with front-wheel drive, but the Sienna is the only entry to offer all-wheel-drive (AWD) for added traction over wet or snowy roads, though it’s mainly a necessity for those who live deep within the Snow Belt. V6 engines and automatic transmissions. Horsepower ranges from 260 to nearly 300, with transmissions that feature between six and 10 forward speeds; more is usually better either way. The Pacifica is uniquely available in a plug-in hybrid version that teams a V6 engine with an electric motor/generator and a gearless CVT automatic transmission; it can run for the first 33 miles solely on battery power and is eligible for a one-time $7,500 federal tax credit. Power sliding rear doors. These harken back to the full-size commercial vans upon which the original designs were based. Power operated, they make entering and exiting easier in tightly packed parking lots, and are a boon to parents buckling their kids into child safety seats. They can be remotely operated, and in the Pacifica, can work via waving a foot under the door with the keyfob in one’s possession. Rear liftgate. Another design feature carried over from delivery vans, this makes loading cargo easier, and, like the rear side doors, can be power-operated and opened remotely. Three rows of seats. With a bench as the second row, minivans can accommodate up to eight passengers, or seven with separate center-row “captain’s chairs.” The Sienna and Sorento offer “first class” reclining second row seats that include deployable foot rests for added road trip comfort. Flexible configurations. A minivan’s second and third row seat backs can typically fold flat to accommodate large sheets of building materials. In most models, the third-row seat can also fold flat into the floor when not needed to maximize cargo space. In the Pacifica and Grand Caravan both second- and third-row seats can fold into the floor for added passenger and cargo-carrying flexibility. Reaching out to parents who, in turn, care for their aging parents, the Sienna offers an exclusive power-operated center-row seat that pivots, extends and lowers itself automatically for easier access. Family-friendly features. In addition to the usual convenience items, minivans can be fitted with infotainment/navigation systems that offer full smartphone connectivity via Bluetooth, multiple USB ports and both 12-volt and house-current power points, and either single- or dual-screen rear entertainment systems (the Pacifica’s includes built-in game apps). The Odyssey and Pacifica can be equipped with onboard vacuum cleaning systems, while both those models and the Sienna offer two-way communication systems between the first and rearmost rows that allow parents and kids to converse without having to shout. Both CUVs and SUVs are styled like tall wagons, and to some degree borrow their styling cues from the original sport-utility vehicles, which were little more than enclosed pickup trucks. 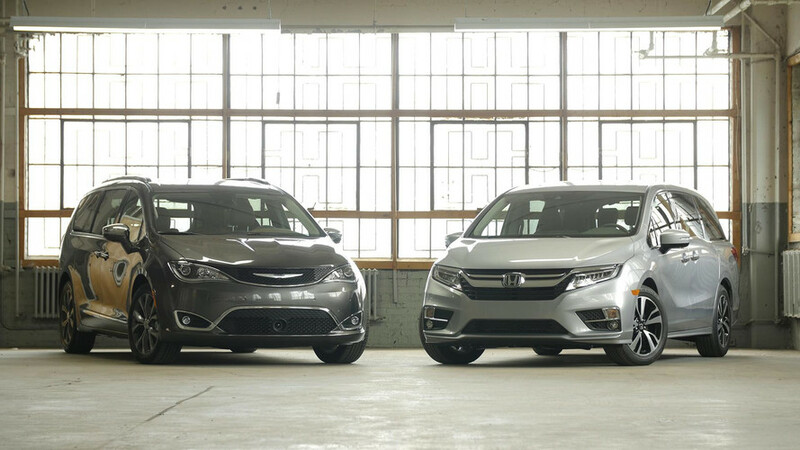 For our comparison purposes, we’ll consider midsize or larger models. Click here for more info on the merits and drawbacks inherent in both SUVs and CUVs. Front- or all-wheel-drive. CUVs are based on car-like front-wheel-drive unibody car frames for more-nimble handling and a smoother ride. All alternately offer AWD, which aids traction over wet or loose surfaces, but doesn’t typically enable off-road trail-blazing or other activities that require extreme traction (though a few AWD systems are designed to traverse more rugged terrain than would otherwise be possible, thanks to advanced electronically controlled traction management features). Click here for more information on both 4WD and AWD systems. Choice of engines. 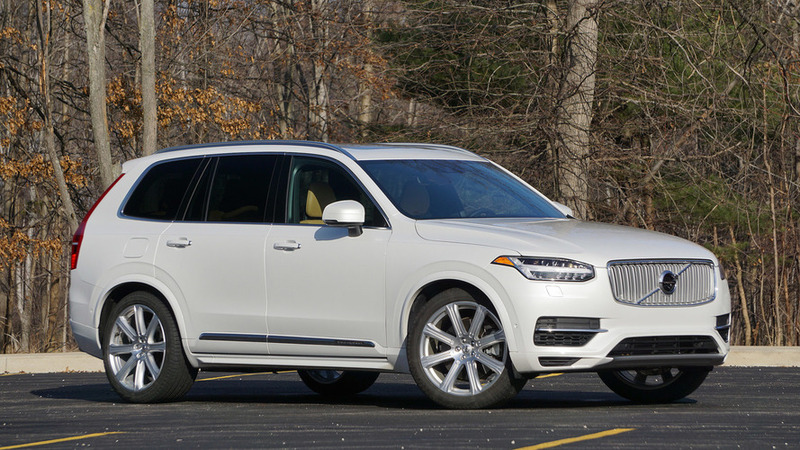 Depending on the model, midsize CUVs and SUVs come powered by either four-cylinder or V6 engines, with automatic transmissions being the norm either way; a few full-size SUVs still offer big and burly V8 engines, and some family-sized CUVs, most notably the Toyota Highlander and Volvo XC90, are available in fuel-saving gas/electric hybrid versions. The top Trackhawk version of the Jeep Grand Cherokee packs a potent punch with a supercharged V8 that puts 707 horsepower to the pavement. Conventional side doors/rear hatch. Unlike minivans, both CUVs and SUVs feature conventional opening rear doors. All come equipped with vertical-opening hatchbacks for easy cargo loading and unloading, and usually include a removable “privacy panel” to hide objects being stowed behind the third-row seats. Three rows of seats. Like minivans, most SUVs/CUVs offer seating for either seven or eight passengers across three rows, depending on the configuration. (The most notable exception here is the Grand Cherokee, which comes with only two rows.) Third-row legroom can be lacking, however, depending on the model; second and third-row seatbacks can fold to accommodate larger objects, with some models featuring a third-row that can hide into the floor. Family-friendly features. Like minivans, SUV/CUVs can be equipped with the latest electronics, including infotainment/navigation/connectivity systems that offer full smartphone connectivity via Bluetooth, a rear-seat DVD entertainment system, and multiple USB ports and power points. 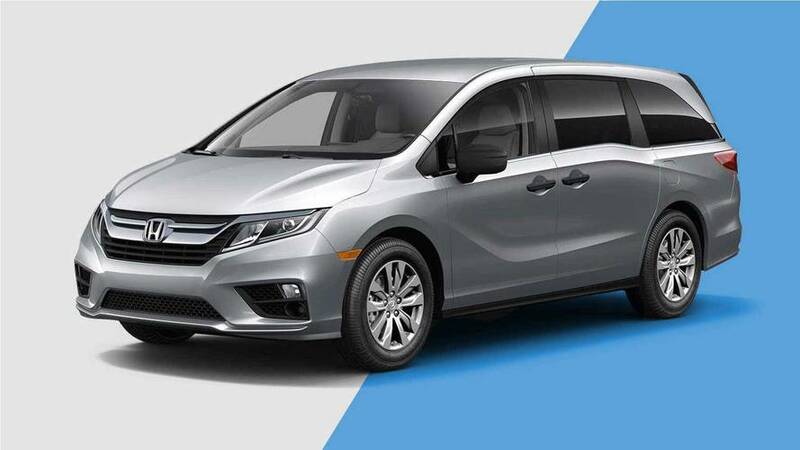 While minivans are arguably the ultimate family cars, with sliding side doors, roomy and flexible three-row interiors, and a long list of available amenities, most buyers these days eschew the genre for its perceived “soccer mom” persona in favor of the brawnier-looking “two box” design CUVs. The few remaining conventional truck-based SUVs on the market are typically purchased for more adventurous families who need the extra capabilities to tow a sizeable boat or trailer or to avail themselves of off-road activities with 4WD. Cabin Watch/Talk, built-in vacuum, Magic Slide 2nd row seat. Power-extending Mobility Access seat, Driver Easy Speak, AWD.